Eight years after the RA10070 was passed, only six of every 10 local government units had PDAOs. This was consistent with DILG’s 2017 own profiling data. Through a non-randomized survey, the study found low awareness among local legislators on the requirements of RA 10070. 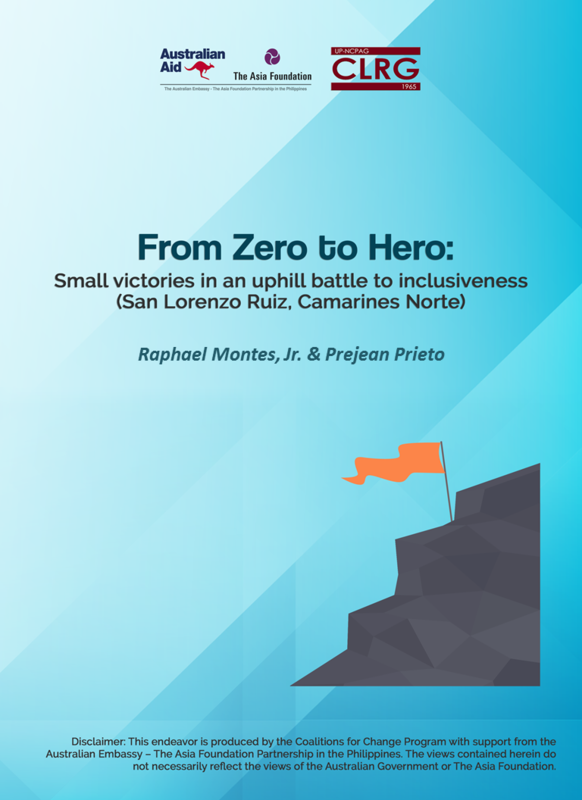 More than half of the provinces (58%) and higher income municipalities (63%) are non-compliant with RA 10070. 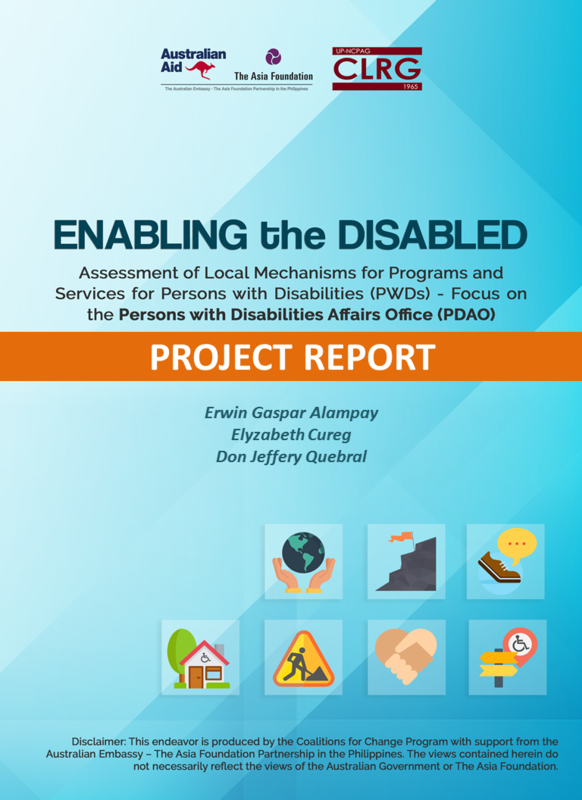 The assessment also found that non-compliance comes in different forms such as the assignment of PWD focal persons with other concurrent positions in the LGU, placement of the PWD unit under the social welfare office, or the non-observance of the general assembly process that was stipulated in the IRR. Non-compliance is partly explained by the weakness of the law and its IRR. 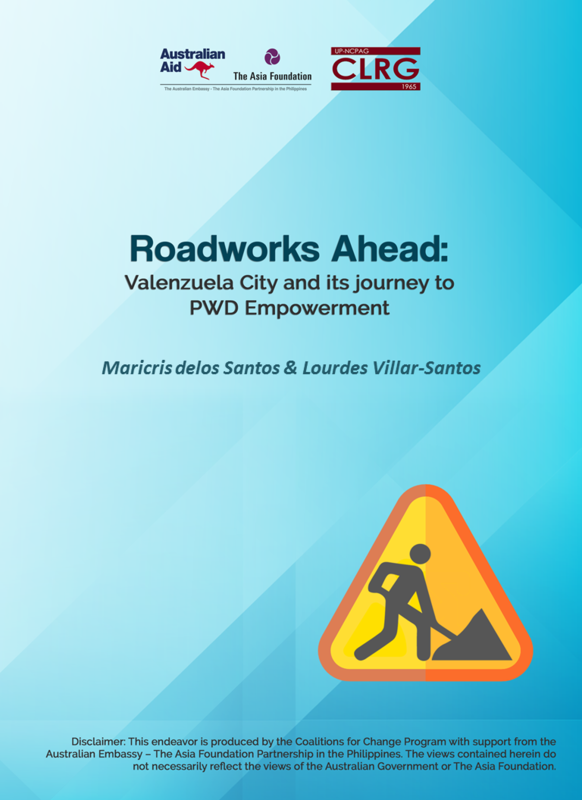 The use of PWD “Focal Person” for 4th to 6th class municipalities was sometimes treated the same way as how GAD focal persons were treated, which justified their concurrent appointments. 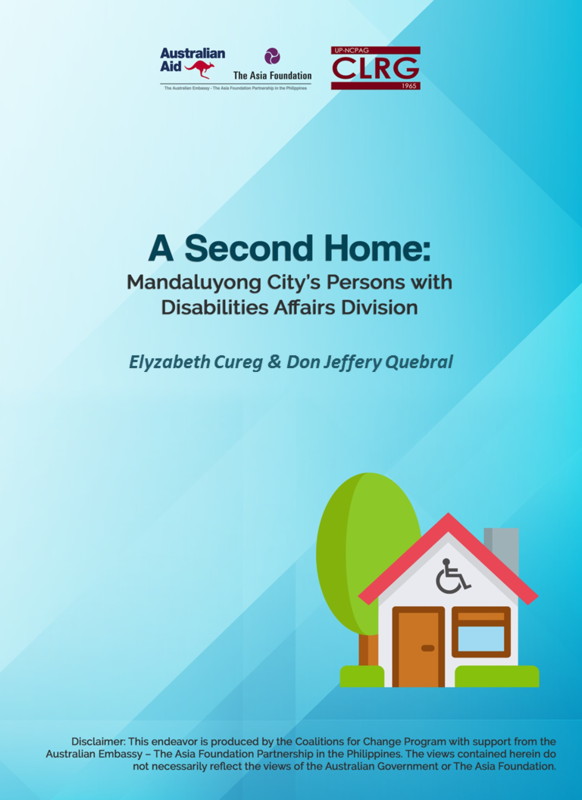 Among the reasons cited for non-compliance are LGU personnel ceiling, challenge of recruiting qualified PWDs, and/or non-prioritization in cases where ordinances are already in place but are not acted upon. Major findings and recommendations can be outlined into three areas. The first is stronger monitoring of RA 10070 implementation is needed and requires provision of incentives for compliance. 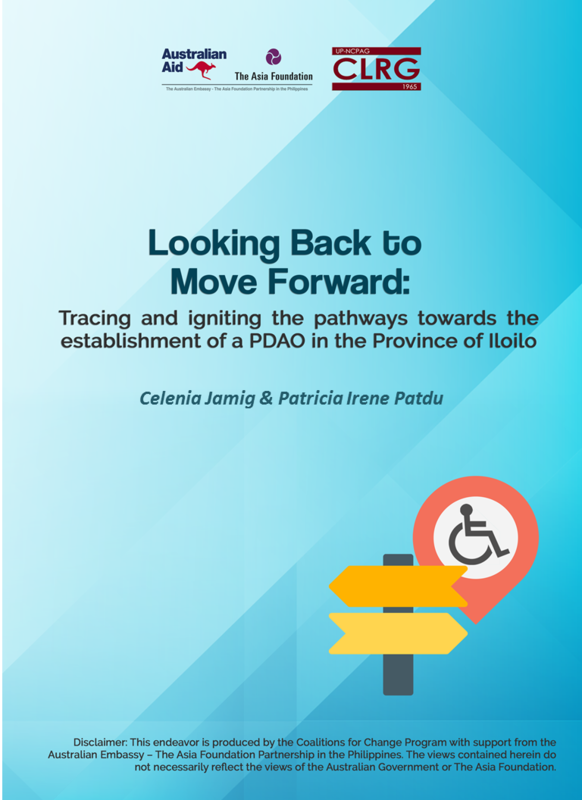 Forty percent of the LGUs do not have PDAOs, and awareness to RA 10070 is low. There is general unfamiliarity with and non-observance of the requirement for a general assembly in the nomination of PDAO Head. Some LGUs enact ordinances that do not have specifics for budget, office space, plantilla positions. This entails stronger information and education campaigns to LGUs, for them to comply with this process. 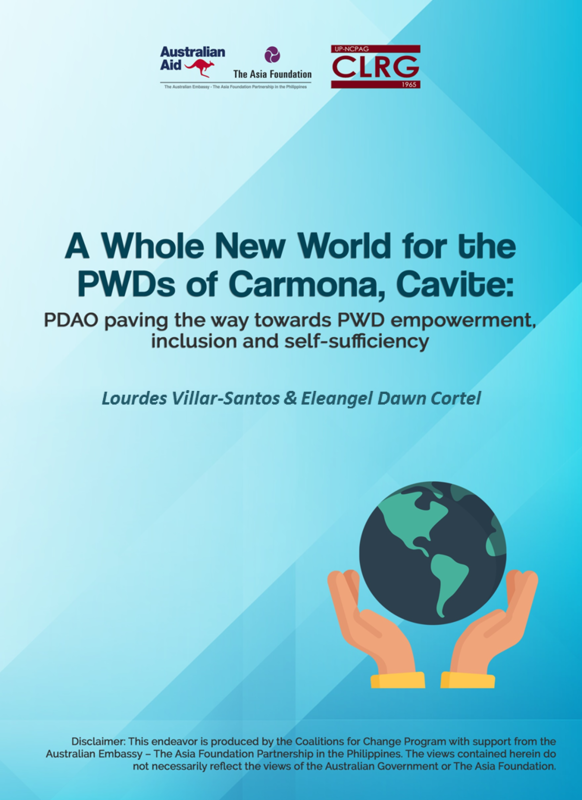 The second recommendation is to standardize data reporting of PWD information that can be linked to a national PWD registry. 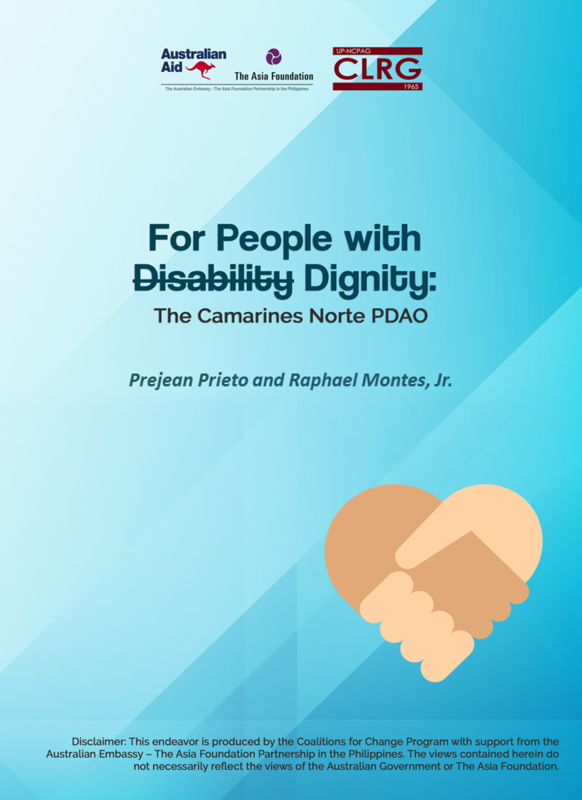 The third recommendation is the institutionalization of direct PWD representation/ participation in the LGUs. 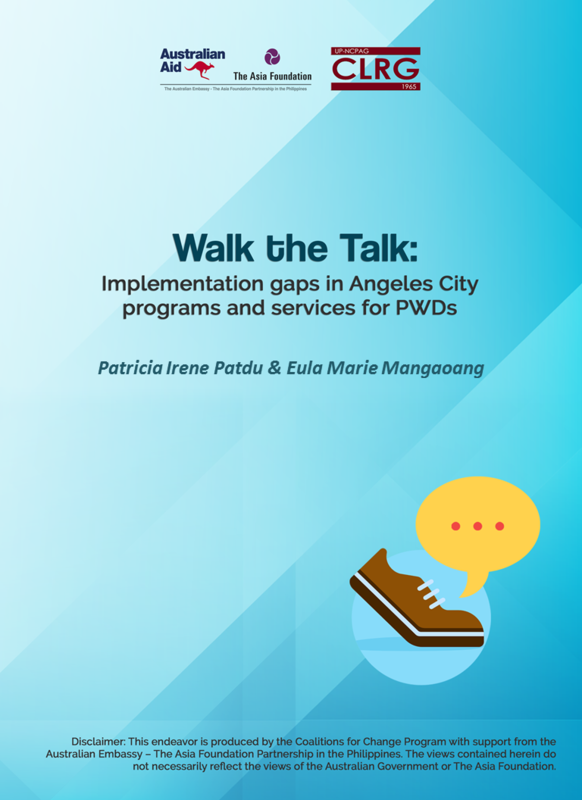 Among the cases studied, there is limited direct participation among PWDs. Click the icons below and get directed to the integrated report and the seven cases undertaken for this research.